For Italian architect and designer Antonio Citterio, a 25-year collaboration with Kartell shows the depth with which the Italian design industry supports the great designers, and for Kartell that relationship has produced some of their most significant designs. Kartell paid tribute to Antonio Citterio at the Cologne interiors fair with an exhibition at their Cologne flagship store featuring key pieces from the collection, including the Gastone folding trolley designed by Antonio in 1990s and now a brand icon. 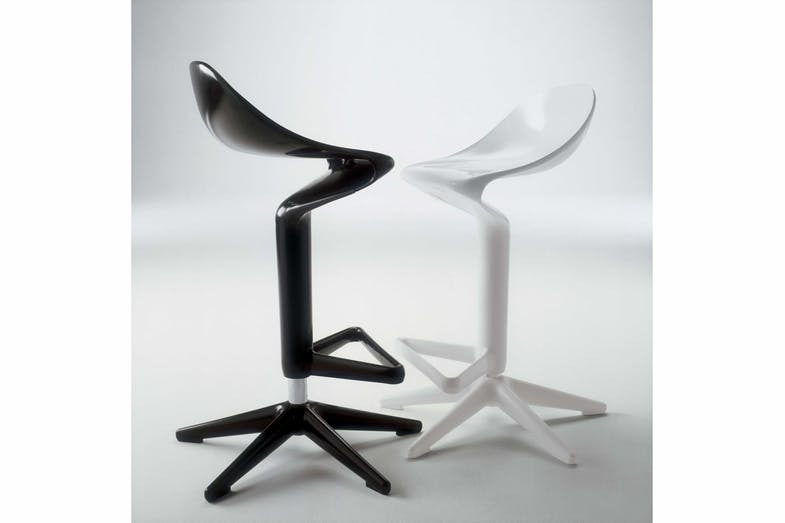 When Claudio Luti left the fashion industry and bought Kartell in 1988, Antonio Citterio was one of the key designers, along with Philippe Starck and Vico Magistretti, who forged an alliance and a new direction based on working with plastics differently. New techniques created new textures, finishes, angles, thicknesses, and a breakthrough with the Louis Ghost chair, transparency. It is what Claudo Luti describes as the small inventions that made a revolution. Bridging his work both in scale and in discipline, Antonio Citterio graduated in architecture at the Milan Polytechnic in 1975 and runs Antonio Citterio and Partners in Milan with founding partner Patricia Viel. Here they design urban projects, residential towers, hotels and showrooms, and a breadth of industrial design projects informed by an understanding of design from an architectural perspective. In 2008 Antonio was honored with the title of Royal Designer for Industry by the Royal Society for the Encouragement of Arts, Manufactures & Commerce in London. This tribute to one of the industries best designers underpins a fruitful collaboration based on good design principles, experimentation, a deep understanding of how we live and work, and the joy of inventing. Launched in 2016, this is the world's first chair made of Bioduratm a plant by-product transformed into biomass similar in performance to plastic that can be fully recycled at the end of its life. 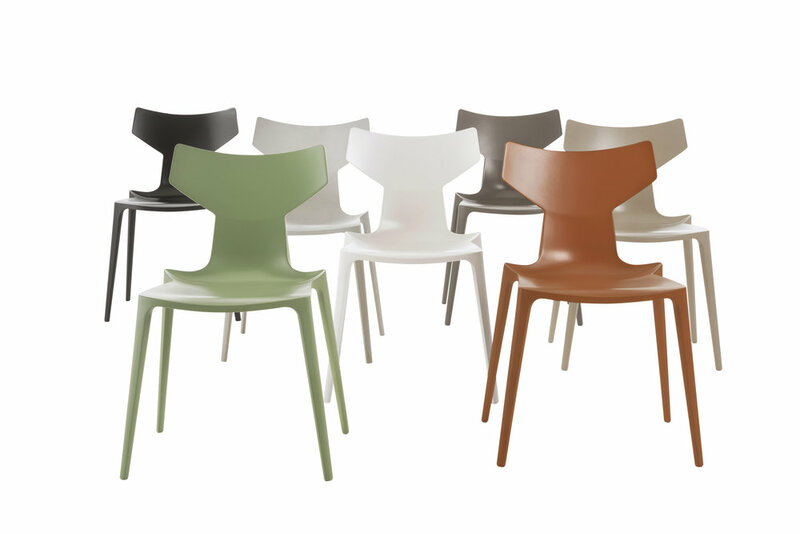 The Organic chair is extremely durable, and like all of Citterio’s designs, pared back to the simplest of elements. The Mobil modular storage system won a Compasso d’Oro award in 1994. Like the Componibili before it, Mobil broke new ground with the combination of a finely detailed metal frame with a translucent plastic drawer system and also created a lighter feel for office furniture. The Multiplo industrial table line was designed with the contract market in mind. The concept allows for customisation by playing with form and different combinations of bases and table tops. The versatility allows for different finishes to be introduced to the family. The collection includes a stool, chair and table, with the stool offering one of the best design solutions for bar top dining. The Gastone is both elegant and practical. The folding trolley has a varnished plastic top surface and chromed steel support, and once closed, its only 229 mm deep so easily folded and stored. Glossy is a collection of tables ideal for the home and the office, characterized by a sophisticated design and elegant materials. The Antonio Citterio collection for Kartell is available at Space Furniture: Space Australia – Sydney, Melbourne and Brisbane, and Space Asia – Singapore and Kuala Lumpur.